Attention to details If its necessary spare parts, maintenance and cleaning are foreseen, a product will have a longer life expectancy. Designing the life cycle To design beyond the birth of a product and to envisage even the exhaustion of its purpose and its disassembling; to design its recycling or reuse, and to innovate its packaging Respecting the environment Not use pollutant paints and processes, will all combine to reduce its impact on the environment. In R&D That is why research is an integral part of our business. The future To understand how consumer patterns and industrial production change, how fresh energy resources and new forms of optimisation and saving are developed, how different forms of distribution are established; how new answers to the demand for lighting will alter the ìhome speciesî and the ìcity speciesî: the way of "being with light". The term ecosustainability, which is widely used today, has always been an intrinsic part of Luceplan’s DNA. It is so deeply interiorised that it has not been emphasized, consistently with the company’s natural, instinctive attitude. Luceplan has always kept aloof from new but often empty proclamations. 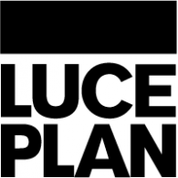 And in the sea of high-flown declarations and statements that abound in the world of design, Luceplan has a clear and precise vision of sustainabilty: “Design also focuses on easy, differentiated waste recovery and on weathering seasonal trends. It rationalises the assembly process to compress packaging volume, and makes use of the ultimate, highly efficient light sources.” For Luceplan sustainability means research and innovation, the constant factors in its history. It is no mere chance that Luceplan was the first company in the lighting sector to introduce materials and technologies that met ecological requirements, which were widely used later. The same occurred with LEDs that were borrowed from “other” select production sectors – after careful work performed in cooperation with designers to remove all bonds – to achieve a lighting performance that was comparable with traditional light sources, while maintaining the added value of low consumption and high flexibility. Or again for the small photovoltaic cells designed for outdoor devices.